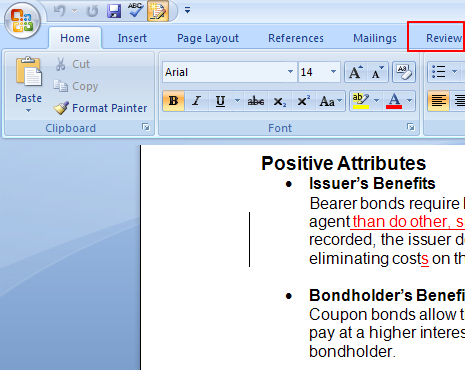 Open your document using Microsoft Word; click on the Review tab, highlighted in red in the example below. In this screenshot the Track Changes icon is illuminated, as circled in red. You will need to disable this feature before you continue. 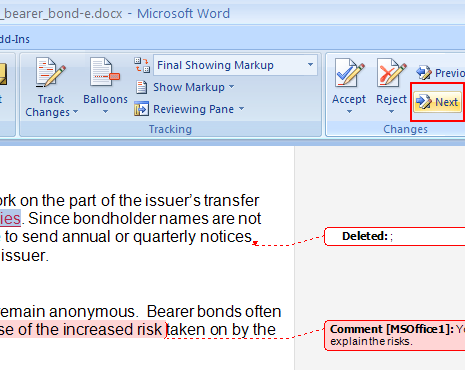 If you do not turn this feature off, all of the revisions that you make on your document will be tracked to the right-hand side of the document. Once the Track Changes feature has been disabled, you can use the Accept, Previous, Next, or Reject buttons to toggle from one correction to another. Click Next, circled in red, to move to the first proposed correction. 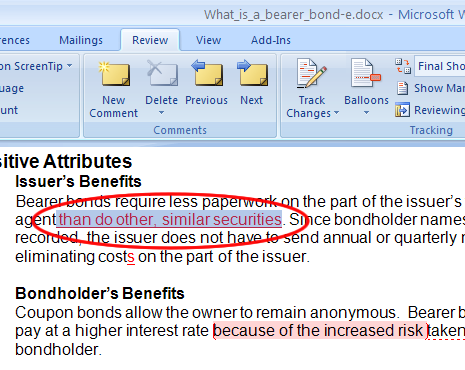 Notice that the phrase “than do other, similar securities” is being reviewed. Clicking Accept will automatically move you to the next proposed correction. 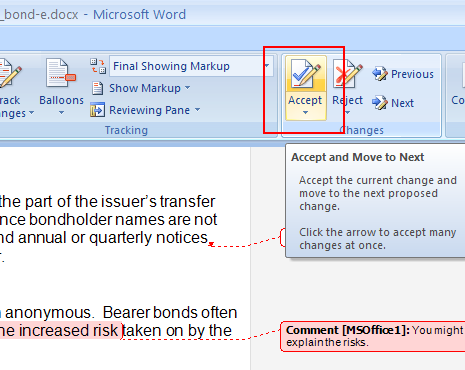 Click Accept to insert the proposed change into your document. 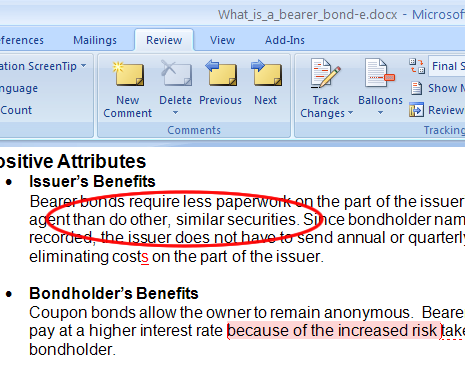 The following screenshot shows that the phrase that is circled in red has been seamlessly added to the document. 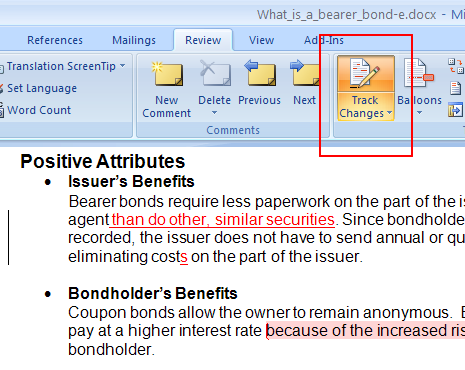 To Accept All Changes in Document without reviewing the proposed changes, click the drop-down arrow below Accept: . 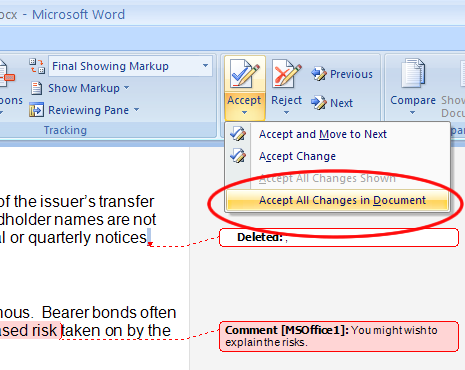 Clicking on Accept All will cause Word to accept all proposed changes. You will still need to remove the editor comments individually.